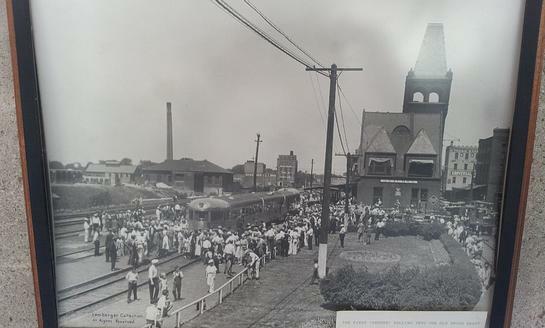 Photo inside the depot of the first Zephyr to arrive in Ottumwa. Street entrance of the depot. 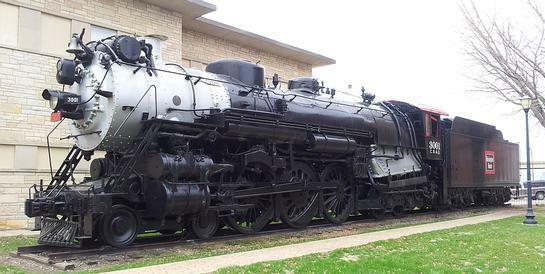 Another view of the nicely restored locomotive. CB&Q 3001 on display at the depot. Track side from the west end.